Body armor is not very fashionable. It is constricting, unattractive, heavy, and it will probably make you appear heavy. There is only one reason to wear body armor, and that reason is possibly to save your life. It is designed to absorb and/or deflect. It used to be that only soldiers would wear this armor in battles, but in today’s violent world it is used to protect police forces, private citizens, animals that work for police forces, and bodyguards. 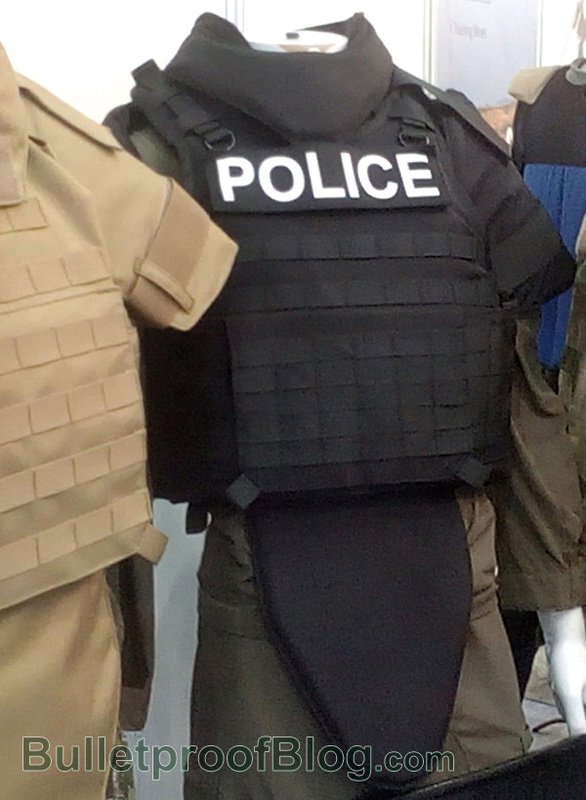 There are two distinct kinds of body armor: regular non-plated personal armor and hard-plate reinforced personal armor. The non-plated armor is used for police forces, security or bodyguards, animals, and private citizens. The hard-plate reinforced armor is recommended for combat soldiers, police tactical units, and hostage rescue teams. We can trace the history of body armor back to Medieval Europe. At that time, they used trip hammers to flatten and shape metal. The trip hammer was a very powerful hammer put into motion by a water wheel in the medieval times. These hammers made the fabrication of metal much faster and cheaper. In the history of body armor, several well-known types emerged; the lorica hamata and the lorica segmentata of the Roman Legions. The lorica hamata was a type of mail made from bronze or iron. It took two months of continual slave labor to make these armors. The lorica segmentata was made from broad ferrous (iron), and used mostly in the Roman Empire. The difference was that the segmentata was made in segments so it was easier to put on and to store. Armor styles have come and gone, evolved and modified many times. By the year 1066, knights were decked out in full body armor; a coat of chain mail from the neck to the knees, the sleeves hung loose, and the skirt had a slit in the front and back for easy horse riding. By the 16th and 17th centuries, a penetrating change had taken place. Body armor was no longer effective after the invention of gunpowder. The only protections from this were man made barriers, fortifications such as trenches, or natural barriers like trees and rocks. During WWI, body armor was again being developed by different countries, but the weight and the cost made them unpractical. During WWII, the flak jacket was introduced. Constructed of ballistic nylon, they too were heavy and cumbersome, and they did not stop dissension. Finally, some good news in 1943 when a vest was developed that was only 22 pounds as opposed to 40, and would stop a .45 caliber at point blank range. It also stopped opposition. Then, with the discovery of Kevlar, body armor was on the track to modernization. Today we are looking at body armor made from Dyneema, a super strong fiber made from ultra high molecular weight polyethylene. Bullet Resistant Fiberglass, which consists of many layers of woven ballistic grade fiberglass cloth, impregnated with a thermoset polyester resin and compressed into rigid flat sheets. Ceramic armor components, which are used as the ballistic armor strikeface of lightweight composite armor systems. There are many more products on the market that will save lives in the future. Let us hope that weapons do not advance as quickly.